As the local press reported a while back, there’s a planning application to convert the Post Office social club on Marygate to residential accommodation. A recent perusal of planning applications submitted towards the end of last year brought to my attention a couple of other planning applications nearby, which seem to have a connection, so I thought I’d mention them together. First up then, the club closing, and the proposed conversion to residential accommodation. It’s one of those places that has been there for decades, well-known to locals, but clearly not enough of us used it to keep it open. A similar story to many other clubs. As is usually the case, there’s interesting historical information to be found in the documents submitted as part of the application, in the heritage, design and access report (PDF). The report also includes photos of the interior, which is looking rather shabby on the second floor, uninhabited for some years apparently. The conversion to club premises meant that on the ground floor ‘the historic footprint is completely lost’. The proposal is to divide the building into two houses, ‘retaining as much of the existing original structure and fabric as possible’, and to ‘reinstate the room layout of the original building and enhance its historic character’. 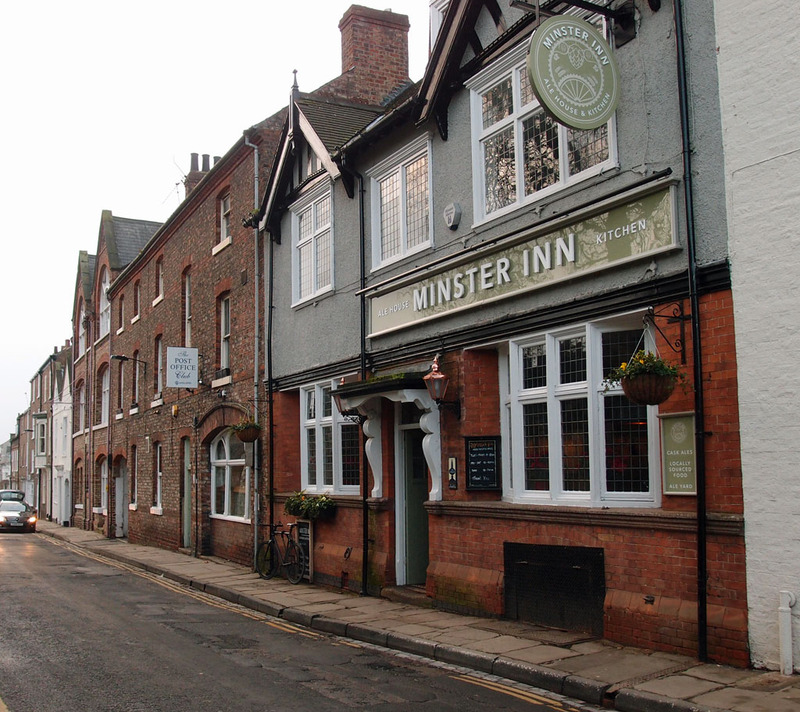 Next door is the Minster Inn. Fourteen years ago in January 2004, on my first ‘York Walk’ with my camera, I took a photo of both the pub and the club and the light shining up Marygate late in the afternoon. The scene looked similar (though not as sunny) on my recent afternoon wander down here. Subtle changes in the signage, modernised, with the Minster Inn appearing to be more focused on food than it was, following a general trend. The title of this page refers to a pub, but this wasn’t the pub I was aiming for. We’re heading off down to the bottom of Marygate. These plans, had they been approved, would have resulted in ‘internal alterations to include relocating service bar at ground floor, relocation of kitchen to first floor and subdivision of first floor function room to accommodate new toilets, and external alterations to include single storey extension to rear forming beer cellar and bin store’. Signs in the window say it’s closed for refurbishment. 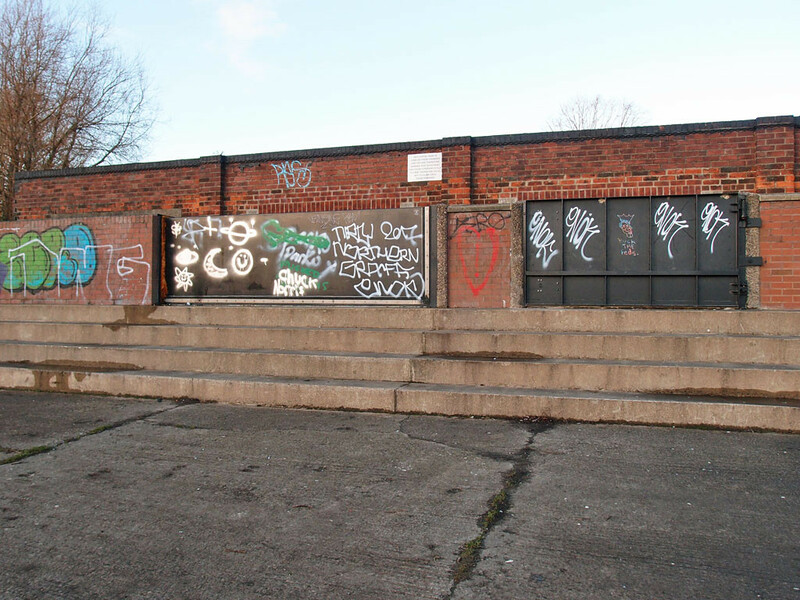 But the proposed refurbishment – that planning application linked to above – was refused. I remember a period of closure some years back and previous applications to convert it to residential use. The record of that is on the council’s planning portal. In 2010 there was an application to convert the ground floor to office use and the upper floor to residential (07/01053/LBC). That application was approved, but the work proposed didn’t take place, and the permission long since expired. Previous to that there was an application in 2005 (05/02385/FUL) to convert it to 8 apartments, and an earlier 2004 application for 10 apartments (04/03594/FUL) – both of those were withdrawn. So what now for the Bay Horse? According to the comment left on my earlier page about this building plans will now be submitted to convert it to residential use (again) as the pub refurbishment plans were refused. Dividing it into apartments would also spoil its character, but I suspect that’s what will end up happening, particularly as a previous permission was given for a change of use. Perhaps its historic interior could be better preserved if one wealthy buyer bought the whole thing. Clearly there is a demand for residential property in this particularly attractive location close to the river and the Museum Gardens. From the club and pub on Marygate we go to the bottom of the street, to Marygate Landing on the riverside, turn right and walk a short way along the riverbank, under Scarborough Bridge, past a row of 20th century semi-detached houses, to where the buildings end to open up to school playing fields and the open space of the ings. The last building here, at the end of the row of houses, is an old boathouse. Just a little functional building, unused for some time, but I’m familiar with it, having passed it many times. The boathouse is to be demolished, a new house built in its place. There’s a PDF with further particulars, including sketches of ideas for potential buildings on the site once it’s cleared. Thankfully the planned house (planning application 17/02717/FUL) doesn’t look like the rather boxy suggestions in that document. It’s a sensitive site here, where the houses stop and the riverside opens out to flat ings land. There are quite a few comments in support of the planning application for the new house on this site, from neighbours mentioning anti-social behaviour around the old boathouse. What do we know about the old boathouse? The planning portal info calls it ‘Archbishop Holgate Boathouse, Sycamore Terrace York’, presumably referring to Archbishop Holgate’s school. The sale particulars give its address as Almery Terrace instead, and according to this information it was formerly the boat house for York City Rowing Club. A book I have, published in 1989, mentions it in passing as York Canoe Club. Many different clubs and organisations using it over the years, it seems. It’s not architecturally handsome, but it is linked with the city’s sporting heritage, with its relationship to the river Ouse, and like all buildings it will have its stories. And, like other buildings round here, the club and the pub, it’s no longer a place visited and used by many individuals and groups getting together for social/cultural/sporting events. Instead its site is seen as perfect for residential development, for a new (and presumably very expensive) house. So many people keen to live in York, and clearly some of them wealthy enough to afford desirable properties close to the city centre, hence the residential conversions. But I wonder if our local areas might become rather dull if entirely residential in character. Places like the club, the pub, and this little old boathouse, have formed part of the interesting variety of our local areas, in decades past. These pages are powered by virtual coffees, via Ko-fi and Paypal. Thanks for coffees and kind comments recently. Your appreciation is appreciated. Google map showing locations of buildings mentioned above. 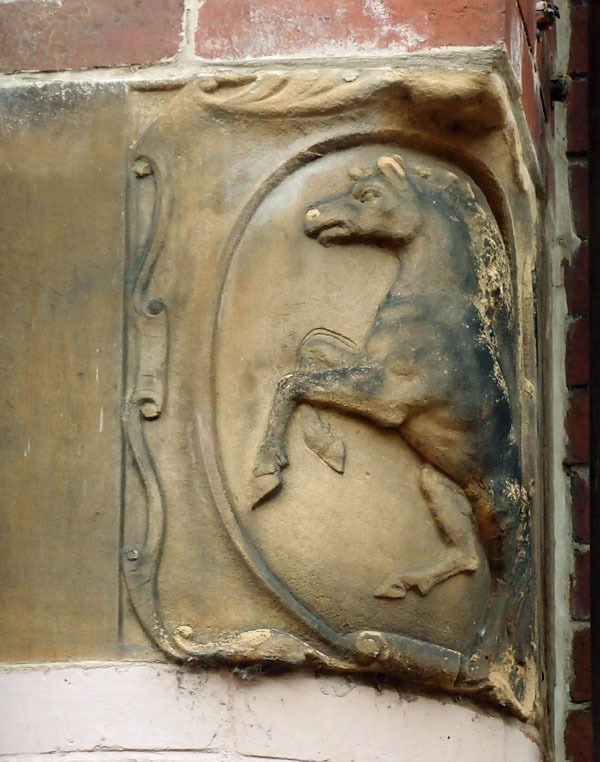 Interesting and sad to hear about more uncertainty surrounding the Bay Horse Marygate. This pub holds many fond memories for me. 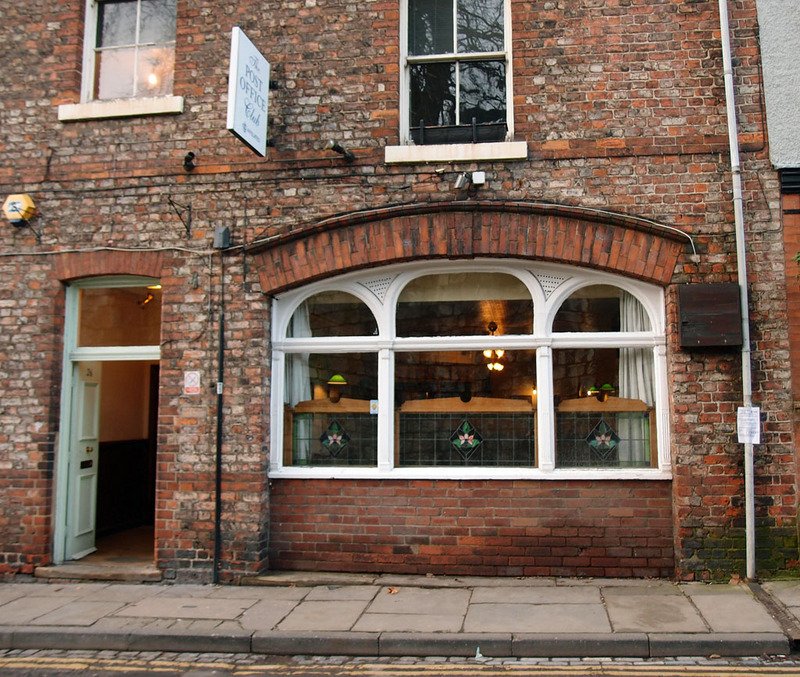 My late father drank there when it was run by Eve and Arthur Briggs who were Landlord and Landlady for many years. My first visit to the pub took place in about about 1968 when I was 13. At this time there was a huge interest in the electric car racing sets, Scalextric. It was the must have present for most boys, even being more popular than train sets for a time. Adults were also fascinated, and soon formed clubs, built huge racetracks, and hand built cars from brass and aluminium. A huge market formed for parts to build these cars, which were much faster than the ready made Scalextric plastic cars. Clubs sprung up all over the country, and race evenings took place, and clubs visited each other. There were 3 such clubs in York at this time. Stonegate Raceway, which was located in the property that became the Old World club. There was also a club and large racetrack at RAF Linton upon Ouse. 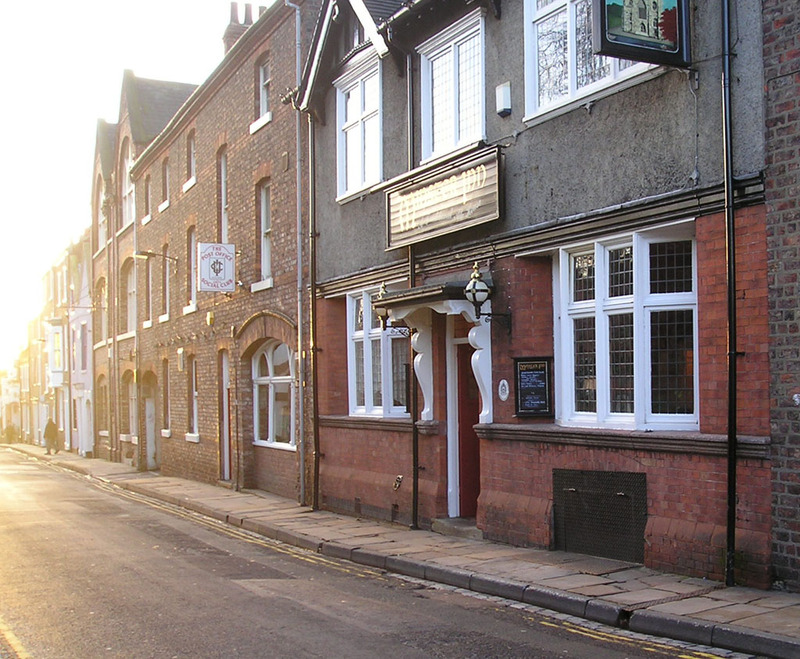 The third club was located in a large first floor function room that ran the full length of the Bay Horse Marygate. The club was called ‘The White Rose Model Car Racing Association’ Meetings took place primarily on Friday evenings between about 6.30 – 9.00pm. My father became a member, and after a while took me and I joined. These evenings were very well attended, with members of all ages. The track was of 8 lanes and was fully scenic, with gradients, buildings and trees. Members arrived with wooden carrying cases containing up to about 20 cars. Unfortunately like most fads, after a year or so interest wained and membership dwindled. Eventually the club folded, although I know the track remained for several years afterwards. Both Stonegate Raceway, and the Linton on Ouse clubs closed at around the same time (About 1970). It was also at the Bay Horse I had my first alchoholic drink when I started Art School, then located in Exhibition Square, although like most of my partners in crime, I was only 16! 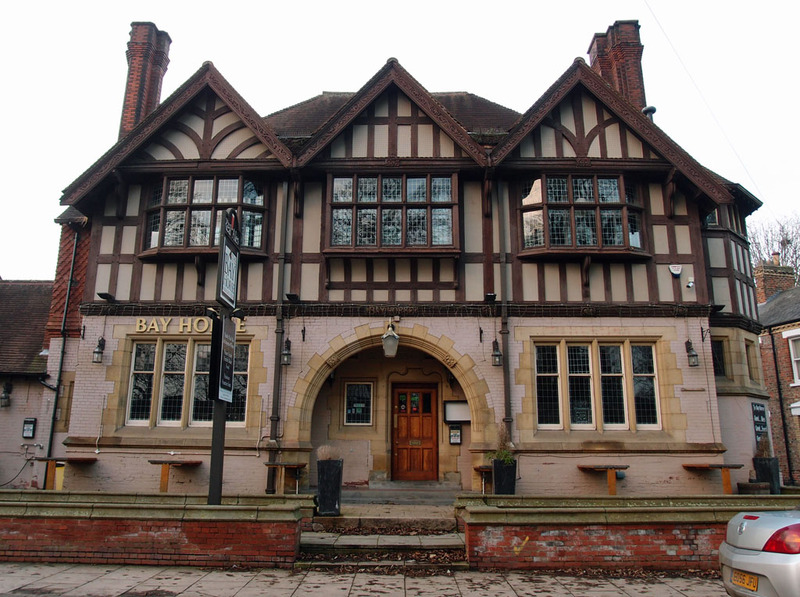 The Bay Horse became the haunt of choice for Art students, and some memorable end of term bash’s took place there in the early seventies. I would be very interested to hear if anyone else remembers, or was involved with the model car club that formed an unusual and fascinating part of the Bay Horse’s history. 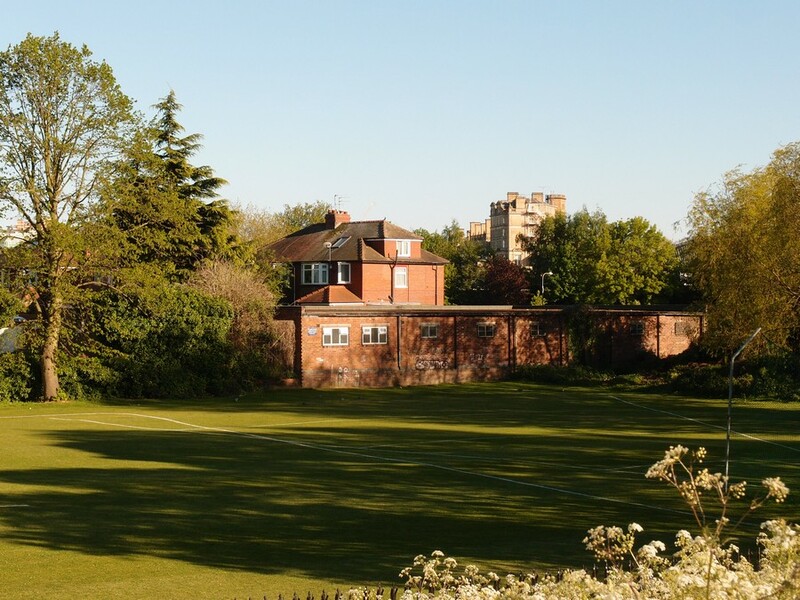 I was at Queen Anne’s Grammar School, leaving in 1985, and remember the old Boathouse. The canoe club rings a vague bell but that might be because a teacher, Mr Whitehead, canoed to school when the river (and the hockey pitches) flooded. Re the Bay Horse, it’s about to become Roots, a restaurant being opened by Tommy Banks from the Black Swan, Oldstead. That has to be a positive as it has been a sad building for a while.